Teams are required to run one engine for the duration of the race week. The Clash is excluded from that. The skies are dark and the wind is active at Daytona International Speedway. It’s throwing drivers for a loop at the 2.5-mile oval. Teams are a little timid to begin with. After all, the wadded them up in the Clash practice just a few hours prior. “I don’t know if it’s the wind or what. 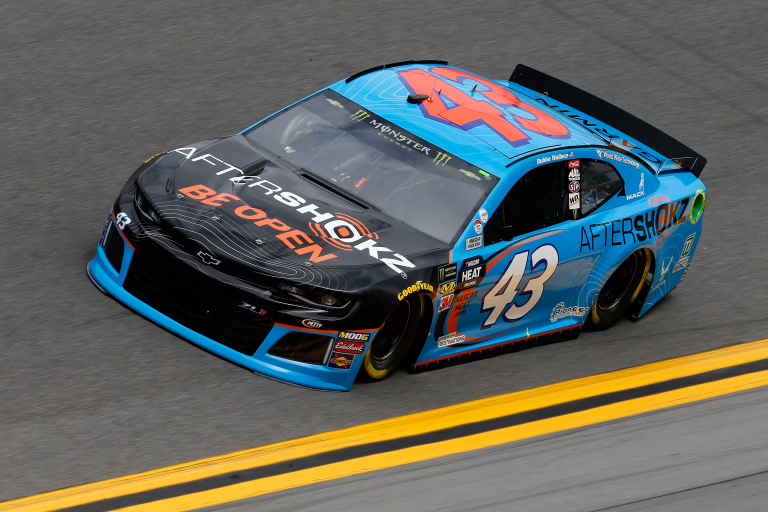 Going through the section before the dogleg, it’s a little darty,” Ty Dillon stated over the team radio. 30 minutes remain, William Byron jumps to P1 topping Ryan Blaney. Byron had an average speed of 191.877. They’ve all made single car runs at this point. However, some groups are beginning to form on the race track. 15 minutes remain, Tyler Reddick sits at the top. It’s an average speed off 194.095 as drafting is picking up. Several teams have elected to avoid the group for the duration of the session. Hamlin is one of those drivers, he’ll be in a backup for The Clash. 10 minutes remain, Truex heads to the top of the board. He currently leads a pack of three Joe Gibbs Racing machines as they run single file around the bottom of the track. 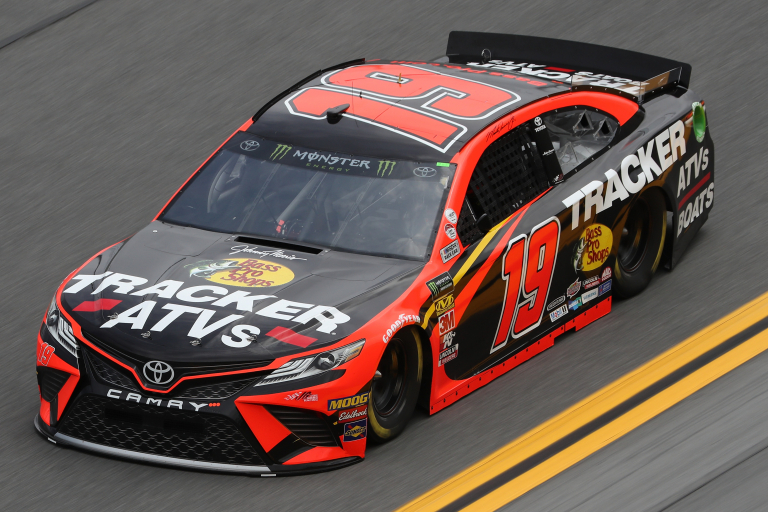 Martin Truex Jr wins the opening round of Daytona 500 practice for the Monster Energy NASCAR Cup Series! Practice two saw most of the field making single car runs. This was the last practice ahead of Daytona 500 qualifying. A rain shower rolled into the track. That ended the second Daytona 500 practice session early.